Week 1: Get to know your own story inside out. Explore your purpose and theme. List potential problems with story or reader reaction. Week 2: Apply character to plot through journey. Determine where your character starts out and ends up. Chart the character steps from start to end. Invent or enhance scenes in beginning and end to show the journey points. Externalize character motivation through goal. Explore the motivation that creates this goal. Brainstorm the problems this goal creates. Chart the change in goals throughout the story. Week 3. Start on conflict: Internal. Determine character’s central strength and associated problems. Identify primary and conflicting values of major characters. Chart beginning, middle, and end conflict progression. Identify significant character action in each section. Outline major turning point scenes and how these increase the conflict. Week 4: Start on conflict: Interactional. Identify primary relationships in the story. Determine major conflicts that alienate the characters. Determine what draws the characters together. Brainstorm what the interactional conflict reveals about the characters. Week 5: Sketch the Three Acts of this story. Set up story conflict and situation in Act 1. Increase conflict and intensify character tension in Act 2. Explode conflicts and resolve them in Act 3. Reinforce character process in story acts. Emphasize goal in opening chapters. Show central strength and problems in action in early scenes. Week 6: Discover the theme that evolves naturally through your story. 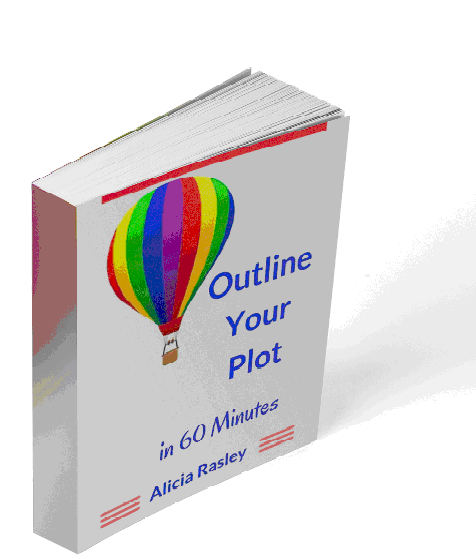 Use Thesis/Anthithesis to develop the theme within your story structure. Refine “theme scenes” to create a coherent thematic process. Identify and enhance three or more motifs which support the theme. Week 7: Identify major scenes and turning points. Evaluate and reorganize the sequence to improve pacing. Learn techniques to dramatize the major scenes. Apply theme and motif to scenes in each act. Week 8: Return and regroup. Reinvent opening chapter to set up journey and theme starts. Think through crisis/dark moment and climax/resolution. Discuss strategies for staying focused and motivated. Outline a plan for achieving what you’ve determined. Ask questions and brainstorm options.